Verdant valleys and stunning golden sands, Fiji is a tropical paradise that deserves to be seen on the screen. Fortunately, more than one producer has recognised the spectacular potential of the breathtaking Fijian backdrop and if you know where to look, you’ll often find Fiji featuring in some of our favourite TV shows and films. Here we’ve compiled the best-known films and series set in the Fiji Islands. Released in 2000 and grossing $429 million worldwide, Cast Away tells the story of Chuck Noland (Tom Hanks), an over worked FedEx employee who becomes marooned on an uninhabited island following a fatal plane crash. This survival epic was an enormous success and is probably the most significant piece of work to be filmed on a Fijian island. This 2016 comedy parody series follows the events of a number of people who become stranded on an isolated island after their plane crashes nearby. Considered a spoof of the famed television drama Lost, Wrecked is a light hearted comedy starring Rhys Darby and a group of well-known comics. Not yet aired, season three of Australian Survivor is reported to be filming in Fiji’s Mamanuca Islands. Following a 10-year hiatus, Australian Survivor returned with a force and season three should be no less thrilling. Billed as ‘Champions v Contenders’, the new season will pit ‘everyday Aussies’ against ‘champions of public life’ in a spectacular showdown. 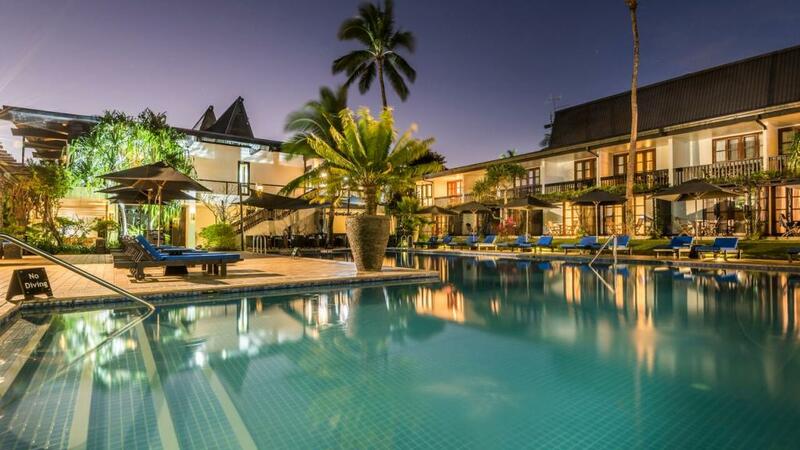 Filmed in the glorious Warwick Fiji, the 2018 Bachelor in Paradise is filmed on 28 acres of tropical gardens in the heart of the regions famous Coral Coast. Attracting hundreds of thousands of views, the Bachelor in Paradise reportedly led to a 91% increase in Warwick Fiji page clicks. The lesson? Get in quick and book now! Watch for: the incredible luxury resort where all the Bachie action went down!